The success of the organization depends on its employees and the ones to whom they are accountable, i.e. Managers and Supervisors. These are two important positions in an organization, which guide the entire team of workers, in the pursuit of common goals of the organization. Managers are the ones who control and administer the entire enterprise, On the other hand, Supervisor is someone who is the leader in the first line management of the organization and thus looks after the work and performance of the employees. 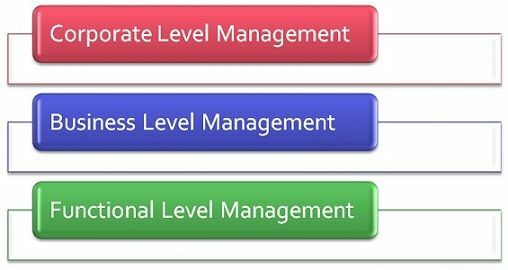 While Manager belongs to business level management, Supervisor is a part of the functional level management of the organization. He/She instructs and monitors his subordinates at work. When one wants to know about various managerial positions in the corporate ladder, he/she should understand the difference between manager and supervisor. Meaning The person who oversees the employees and regulates them to perform the work assigned to them is known as supervisor. The person who manages the resources of the organization, to achieve the ultimate goal is known as Manager. Task To supervise people at work. To manage 5 M's of the organization, i.e. men, money, material, method and machinery. Looks after A supervisor is responsible to look after the work and performance of every single employee of his team. A manager is responsible to look after the work and performance of the whole unit or department. A supervisor is an employee and the head of the front line management who watches the employees and their activities working under him/her. He/She has the authority to delegate the task to the individual workers, approve working hours and to resolve the payroll issues. The duty of the supervisor is to oversee his men working at the workplace and analyze their performance and productivity. To implement the policies made by the upper-level management. To make short action plans as a stepping stone to achieve targets. Coordinate the people at work. Motivating, guiding and training subordinates. Preparing timely reports regarding the performance of the employees. Listening and resolving the worker complaints and grievances. A manager is a person who manages the resources of the organization. By resources, we mean men, money, material, method and machinery. But not only the resources, but a manager is in charge of the entire management of the organization. In general, a manager does not do any work himself but gets it done by his subordinates. He/She is the representative of the whole department, unit or division of the second level or top level management. He/She has got the authority to recruit employees and terminate them as well. There are some managers in a single organization, i.e. general manager, production manager, finance manager, sales manager, customer relationship manager, etc. The function of these managers is based on the department they head. The supervisor is someone who oversees the employees and regulates them to work assigned to them. A manager is a person who manages the resources of the whole organization and the organization as well. The supervisor is a top position in the lower level management, whereas in the middle-level management the top position is of the manager. The supervisor is answerable to the manager for the performance of his team while the manager is answerable to the board of directors for the performance of his department. The supervisor has an entirely introverted approach as he has to look after his men and their work only. Conversely, the manager has an ambivert approach because he has to look after his department along with the external environment. The supervisor’s task is to supervise people at work, but a manager manages the 5 M’s of the organization, i.e. men, money, machinery, material, method. The supervisor is responsible for people working under him and their activities while a manager is responsible for people and things as well. A supervisor has no right to hire or fire employees, but he can recommend it. In contrast to the manager, he can hire or fire employees. The supervisor has no authority to recruit and terminate employees, but he can take an active part in the hiring process like shortlisting the candidates and interviewing them, but the final decision would be taken by the Human Resource Manager only. One significant difference between the two is that supervisor looks after the daily activities of the business while a manager doesn’t. I liked the way you’ve creatively designed your style of outreaching your dose. Very informative and extremely organized article. I appreciate that all my questions were answered & I’d like to thank you for that. Thank you for publishing a succinct discussion on manager vs supervisor. I’m not looking for a HR course but just a down and dirty “this is it.” to help me with deciding job titles. Great article. I’ve been presented with a new opportunity and it helped me better understand what will be expected from me should I accept. Thanks! This is exactly what I needed. I’m in a weird position at work where I’m the supervisor, but a lot of the managerial duties fall on me and I’m getting confused about where the line is to be drawn. This definitely helps me have something to take back to my bosses and ask to either define my role more clearly or give me the title of manager that I deserve!